Add sparkle to your enjoyment! Lovers of authenticity and fine bubbles will appreciate Aube and its Champagne Route through Côte des Bar! With its land devoted to wine-growing and its picturesque villages, with its remarkable vineyards, vaulted cellars and typical ‘cadoles’, or vineyard huts, you will discover a region that is unique and full of passion. In the care of enthusiastic and passionate wine growers, you will be initiated into the secrets of the Wine of Kings and taste a remarkable vintage. 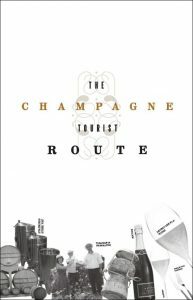 Full-bodied or smooth, delicate or complex, you will be ignorant no longer about Champagne and champagne making. Situated on the borders of Champagne and Burgundy, Côte des Bar is the main region in Aube that produces the King of Wines. With “Côte des Blancs”, “Montagne de Reims” and “Vallée de la Marne”, “Côte des Bar” is one of the large blocks of land that structure the Champagne vineyards. Classified with a controlled label of origin since 1927, Aube has more than 7,650 hectares of vineyard. 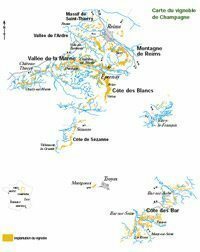 (The Champagne label covers 34,000 hectares in all). Covering 25% of the Champagne vineyards, the Department of Aube produced a quarter of the 300 million bottles sold every year throughout the world. 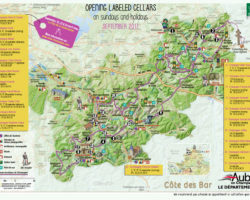 The 63 communes included in the label are concentrated along the Côte des Bar between Bar sur Seine and Bar sur Aube. The Montgueux vineyards overlooking Troyes should not be forgotten, neither should those of Villenauxe in the north-west of the Department. 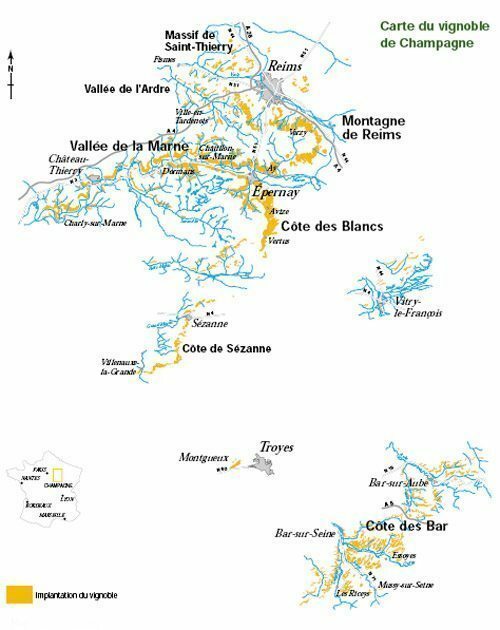 The original feature of these two communes lies in the variety of grapes grown, with a majority of Chardonnay, meaning the they are the equivalent of Côte des Blancs. The Côte des Bar vineyards where Pinot Noir predominates are geographically distant from those of Marne. Go down into the cool of a Champagne producer’s cellar and turn your taste the charm of this divine nectar. We have selected some accredited cellars for you, noted for their warm welcome. Champagne is an area where vines have been worked for generations.